You probably know how difficult it is to have a big dog in the house. It goes without saying that all dogs should be trained to some standards and should know basic manners. A lot of people feel scared when they see a large dog, even if he is wearing a collar and an owner is nearby. Some dogs will start barking on the spur of the moment or may easily get excited. This also can scare passers-by when you are walking with your pet. Only you, as a handler, know your doggy. If you want your pet to be obedient, you should start training him from an early age. First of all, teach your dog the simplest commands such as sit, stay and come. The comands should be pronounced clearly. Train your dog frequently, but remember that training sessions should be short, otherwise your doggy will become bored very easily. It is important to reward your pet. The easiest way is to train your pet before the meal. In this case, he will associate a meal with the reward. 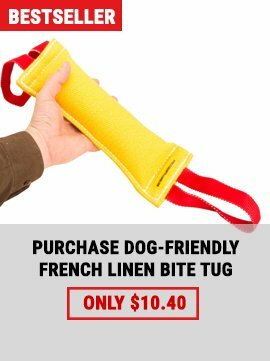 In addition to food or snack, you can buy him toys or just take him with you for a walk. As we are speaking about training, it should be pointed out that attack training is considered to be very important for large breeds. 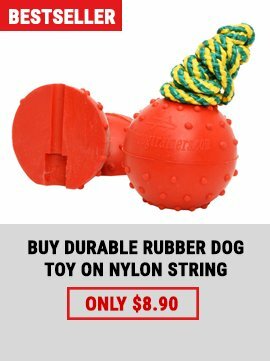 If you want to teach your pet to attack, you should know what kind of training equipment to use. 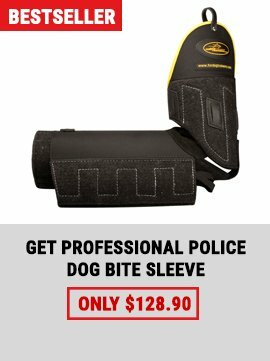 In our online store you will find a large choice of bite sleeves, suits and pillows. Our high quality equipment will help you to achieve the best results in attack training and make training sessions more pleasant and enjoyable for you and your four-legged friend. A good bite sleeve will help you greatly. All training equipment in our store is recommended by professional trainers. Hurry up and help your pet keep fit! We want to remind you that you still can take part in the Dog Photography Contest and Dog Video Contest!!! Despite the contest ending soon, you still have high chances to win. The important thing is that the the frequency of votes matters. The more votes per day - the higher your chances to win. You can easily change the future of the competition by voting for photos and videos you like here. Do not miss such a great chance to become a winner. We are sure that you make a great team together with your doggy!